Marina Bay Sands has announced the implementation of a two-day learning leave incentive for its over 9,700-strong workforce to enrol in SkillsFuture courses. Believed to be the first such initiative in the hospitality industry, the two-day learning leave allows all full-time staff to take paid leave to attend courses related to language and communication, service excellence and information technology. The learning leave is in line with Marina Bay Sands’ continuous investment in training and developing its diverse workforce, which spans from housekeepers and chefs to meeting planners and museum docents. Over the last five years, the integrated resort (IR) has spent close to S$12.2 million on various training initiatives, ranging from learning sponsorships and e-learning courses, to internal certification programmes such as an in-house wine programme accredited by WSET (Wine & Spirit Education Trust). This is equivalent to over 3.69 million hours of training across over 150 courses. 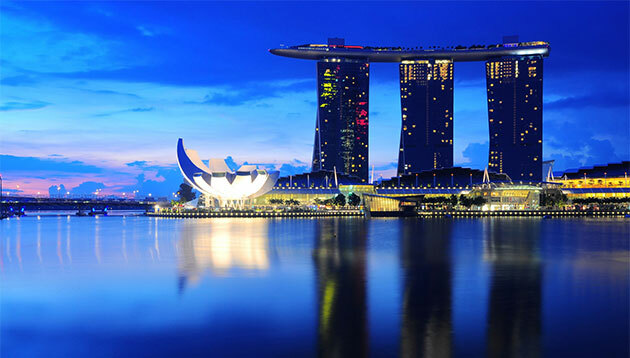 “Marina Bay Sands is focused on building a robust pipeline of talent, from new hires to managerial and leadership roles. Empowering our staff through training and skills development is key to their long-term progression within the company. We will continue to look at innovative ways of developing our staff that will allow them to adapt to the evolving needs of our dynamic and fast-paced industry,” said Chan Yit Foon, senior vice president of human resources, Marina Bay Sands. Meanwhile, the IR is also making plans to hire for upcoming restaurants and nightlife venues such as Marquee – which will open in 2019. Positions within the pre-opening team for this first-to-Asia entertainment destination are among the over-500 roles being recruited in an upcoming job fair at Sands Expo and Convention Centre on 29 and 30 July. Gen Y employees have big demands when it comes to future business expectations, including fostering creative thinking and providin..
Hong Kong hiring outlook for 2018, survey finds employees can expect fewer salary increases while companies try to attract talent ..